A place in the sun for you to relax, rejuvenate and find yourself again! 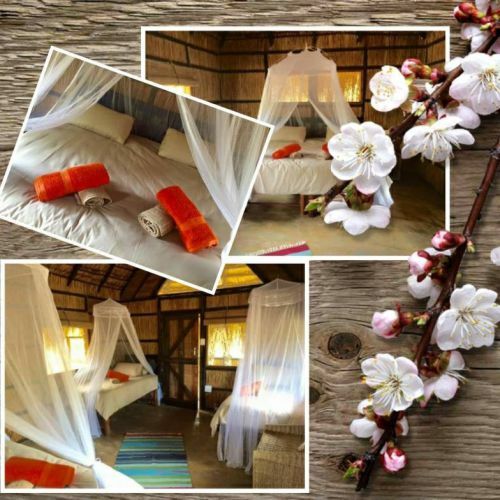 Welcome to Mango Beach Lodge, situated in the heart of the most beautiful coastlines Mozambique has to offer. 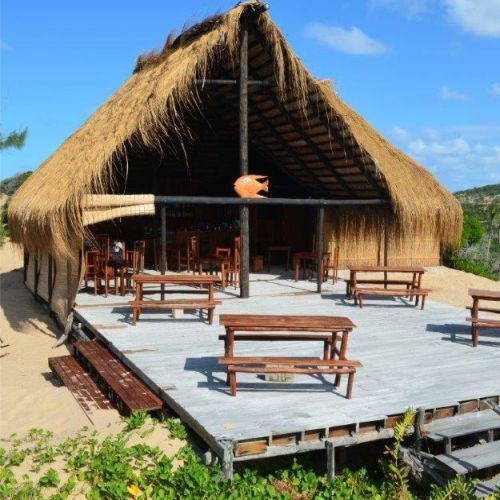 Located 24 Kilometers from one of the oldest cities in Mozambique, Inhambane, lies the small town of Tofo. 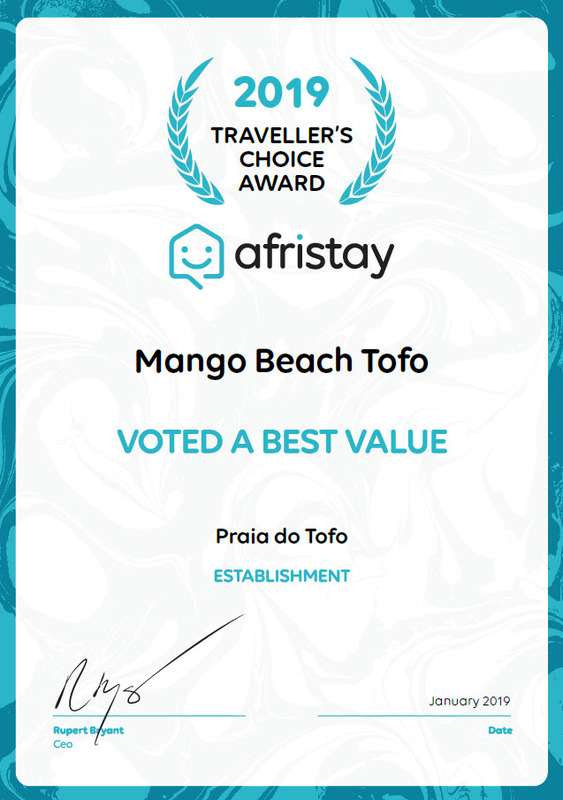 About 3.4 Kilometers from Tofo town, along the road parallel to the beach, and sign posted from the entrance to Tofo, you will find our Lodge; Mango Beach. Our dune top bar and Restaurant overlooks the Indian Ocean, with impressive views of our private beach. All our accommodation is nestled behind our dune, affording you all the privacy necessary, and protection from the elements. Tropical beaches, coconut palm groves and pure paradise. 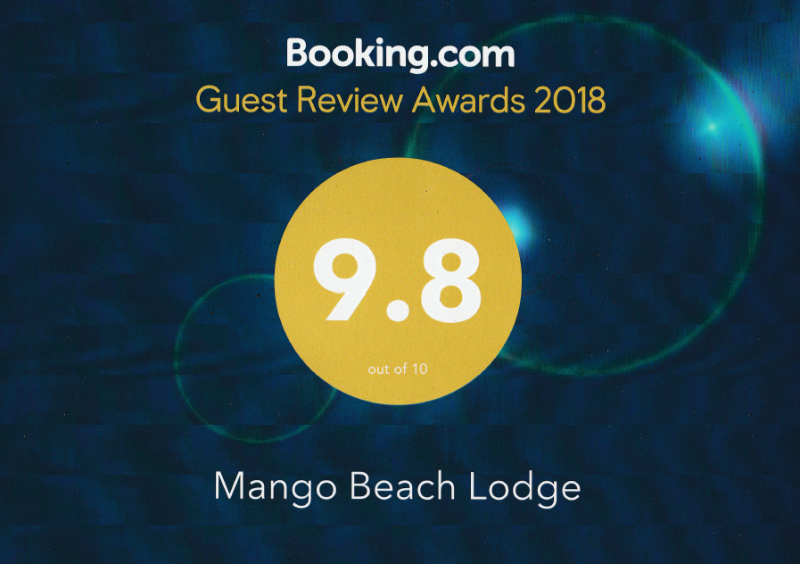 Nestled between busy Barra beach and around the corner from relaxed Tofo Beach, you’ll find peaceful and relaxed Mango Beach. Forget about finding us on your road map, but for those techno junkies out there GPS does work here. This is the setting for Mango Beach – an utterly peaceful resort in popular Tofo, Mozambique – one of the world’s best dive destinations. You are guaranteed the holiday of a lifetime – whether you want adventure and action, or a relaxed sun-drenched chill, or even a total “pig-out” on local seafood. Your hosts and their friendly team will spoil you by catering to your every need. Apart from our own local beach, where you can snorkel, and swim, both in the rock pools during high tide, or behind the rocky reef at low tide, there are two other beaches in the area, Tofo Beach, which is the main beach located right in front of the Tofo local market, and Tofinho (or little Tofo) which is a bit quieter, as long as it isn’t surf season. Tofo Beach offers a great swimming beach, as well as being used as the boat launch area for the local diving and fishing charters. It has an abundance of small bars and restaurants, as well as a small market where you can buy all you may need from fresh fruit and seafood to cellular airtime. Tofinho Beach is great for surfing and fly fishing. Tofo is a great destination all year round. The summer months are from November to March, with temperatures during the day ranging between 30°C – 38°C during the day, with a humidity of around 80%. Our rainy season usually starts in late December, January and February but these are mostly tropical showers that last only part of the day. 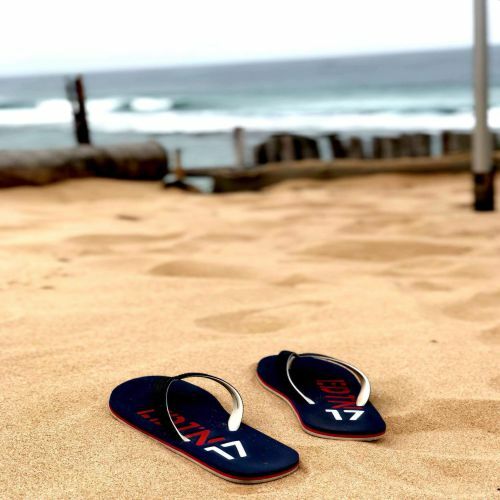 The winter months are from April to October, with temperatures ranging around 20-25°C. Evenings may become a little cooler, so you may want to bring something a little warmer than a costume. More rain usually in late June / early July. With February and August being windy months, so avoid these if you want to do a lot of diving or deep sea fishing. Our diving is amongst the best in the world, offering marine life in abundance. Divers will undoubtedly see Manta’s, Whale sharks and a plethora of micro marine life not to be found anywhere else in the world, and if you listen carefully you will hear the whales while underwater. Whale Sharks are found all year round but the larger numbers are here in the summer, between November and March. Humpback whales usually arrive around mid-June and are here until mid-October. We trust that you will enjoy your Mozambican beach holiday experience and that we will see you here again and again…See you SOON!! Our Beach bar and Restaurant are located right on top of the Dune facing a 180 degree view of the beach, with our Cabana’s neatly tucked behind the dune. There is a large reef that runs right in front of us creating a natural rock pool that is fabulous to wallow in without having to brave the waves – and also perfectly safe for kids. Electrical power (220V/50Hz) is supplied by generator for up to 4 hours per day. 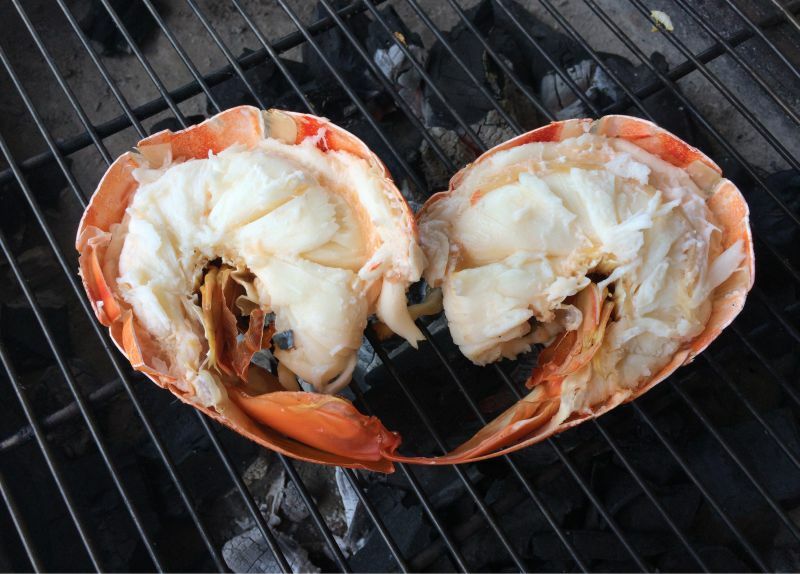 Crayfish, Prawns, Catch of the day, more…..
Our restaurant & bar is situated on top of the beach dune, and offers breakfast, lunch & dinner with the bar open all day. 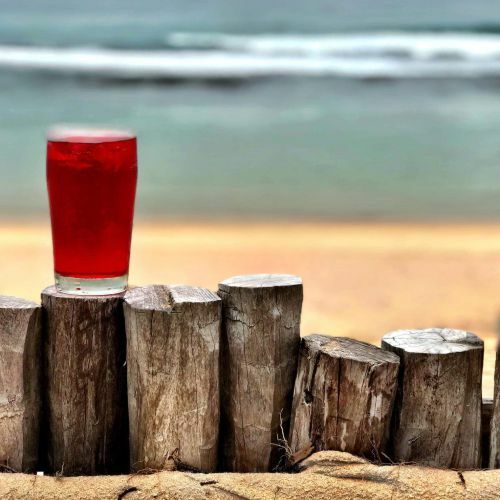 Simply catch the sea breezes or quench your thirst while relaxing on the beach. If you are an early riser, come and join us and catch the sunrise over the ocean. Breakfast is served daily from 8:30 am. Enjoy a smorgers board of local fruit and cereals, or indulge in a traditional English breakfast, with fresh made local Pao (Bread). Our experienced management works 24/7 to accommodate all your needs and to exceed all your expectations. Our mission is to create a stress-free environment for our guest, where you can come and unwind after months of hard work. Our diverse team is obsessed with hospitality and is highly motivated to give you a great experience. Our friendly and professional service team is on hand for your convenience.  We will endeavor to assist you were possible to make your stay an unforgettable one. 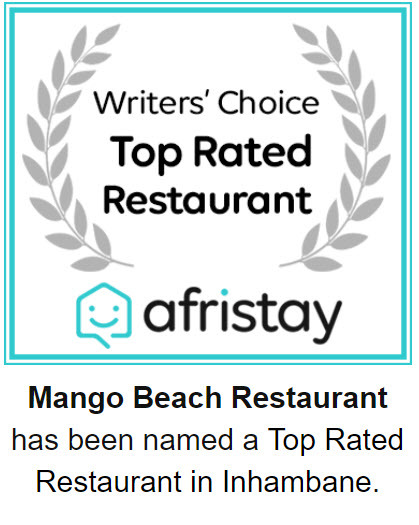 Absolutely the best place to eat in Tof0! Steffan and Paula are the consummate hosts.. best pizza out of all I had and their seared tuna was divine. So lovely to have fresh salads! We will definitely be back, thank you for spoiling us! If you’re lucky enough to stay here you’re in for a treat, Steffan cannot do enough for you, the food is sublime and the location is stunning!!! The food is absolutely incredible, the hosting is flawless, the service is impeccable and the accommodation is beautiful. I will be coming back as often as I can, and I’d urge anyone else to do the same. 15/10 you guys will be going places and I’m glad to have had a part in it! Just back from a wonderful stay there. Steffan, Paula and Graham are fantastic hosts and they pull out all of the stops to make your stay a great one. Sam and Manuel must be the friendliest restaurant staff around. Great service, very very very friendly staff and owners, willing to go the extra mile for you all the time. They are passionate people doing a fantastic job. Well done guys, I will certainly be back. This was my first time in Mozambique and I wish this was my first stop. 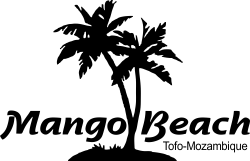 We were looking for something off the beaten track yet comfortable, Mango beach was completely perfect. Its a little way from main Tofo so its much quieter during the evenings. The food is amazing, probably the best in Tofo. 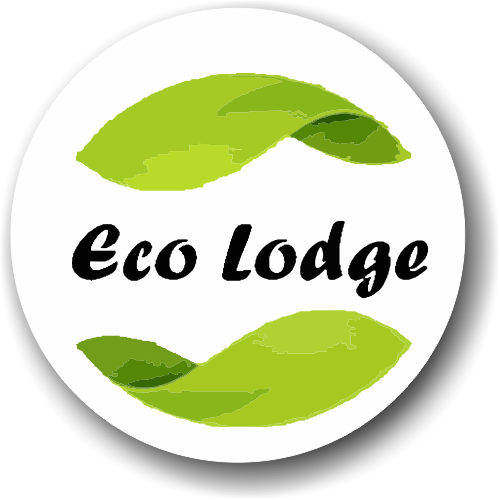 The accommodation is beautiful with the sound of the ocean and surrounding wildlife. Stefan and Paula could not be more helpful particularly getting us in and out of Tofo. Definitely recommend the beach walk into main Tofo beach area. Perfect if you like it a little rustic and enjoy the quiet. Definitely planning on heading back again! Everything awesome in one place. The owners, stuff, food, even the trees at this rate. Went there for our honeymoon, and we were well taken care off. Everyone is friendly, made us feel at home with the way they interacted with us and served us. The food was out of this world, best tuna I’ve ever had in my life. We went there twice and sent our family there too. The staff are friendly and helpful and the owners too, they go out of their way to make you feel welcome. I had a crayfish the size of my forearm – the food is devine! A must if you are in Tofo! Really worthwhile. Delightful menu and the best food we had on our 14 day trip in Mozambique. Great pizzas. Crispy THIN base and generous toppings – a treat. My pasta was supurb with well balanced flovours. Adrie had a really great shrimp curry. The white wine was served well chilled and at a reasonable price. All in all a delightful evening in a beautiful setting. Get there before sunset to enjoy the views.